Tired of crawling up under the dash? Are you looking to remote mount your fuse block and you want full power options? Then this 28 circuit Painless wiring harness will provide you with all those power accessory circuits, as well as extra-long wires allowing you to mount the fuse block in a remote location such as in the trunk or behind the rear seat. 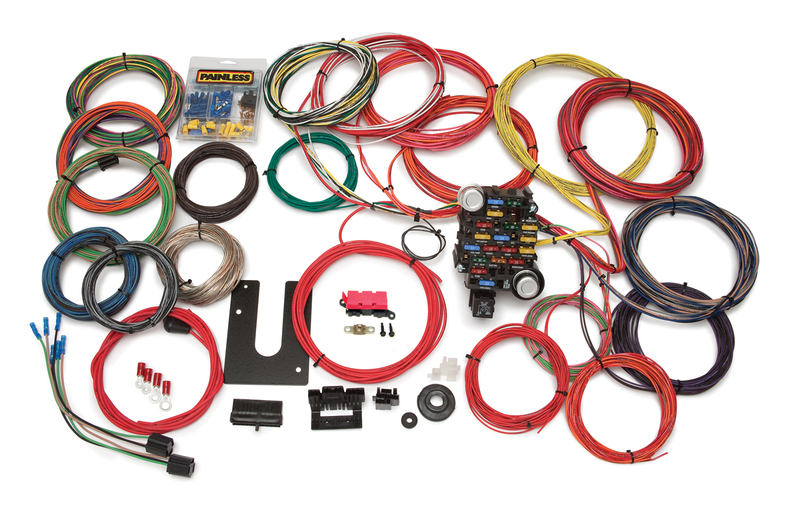 Included with this harness are the following parts; GM turn signal & column mounted ignition switch connectors; pre wire plugs for the headlights & dimmer switch; and each wire is custom printed with the circuit identification as well as using GM color codes for easy installation.